A true beauty in deep orange. The lehenga features beige patch along the border that is embellished with sequins, stones, beads and zardosi. 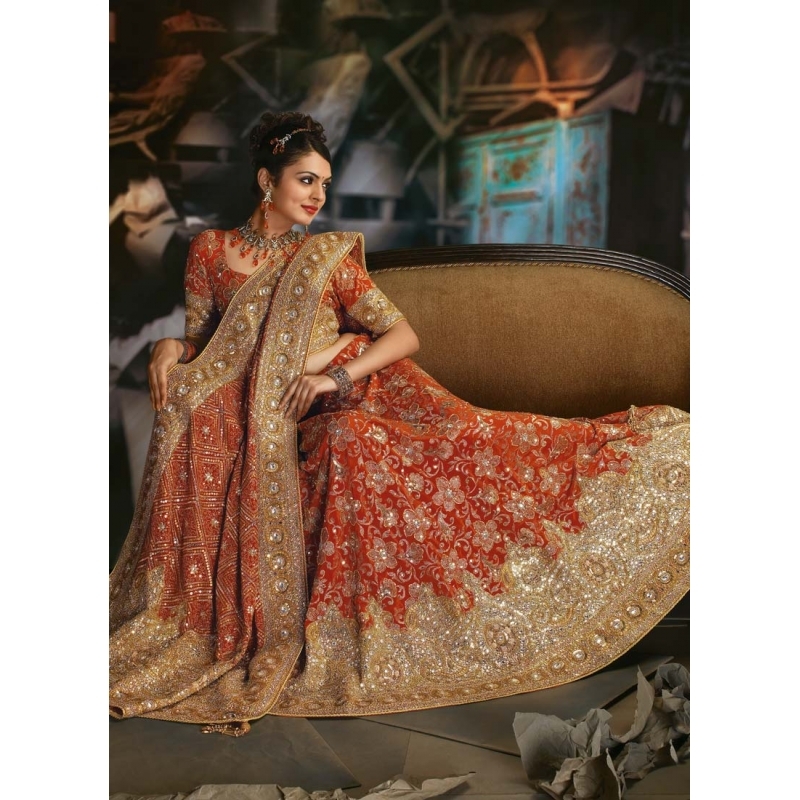 Lehenga is beautifully adorned with sequins, stones, cutdana beads and zari embroidered floral design. 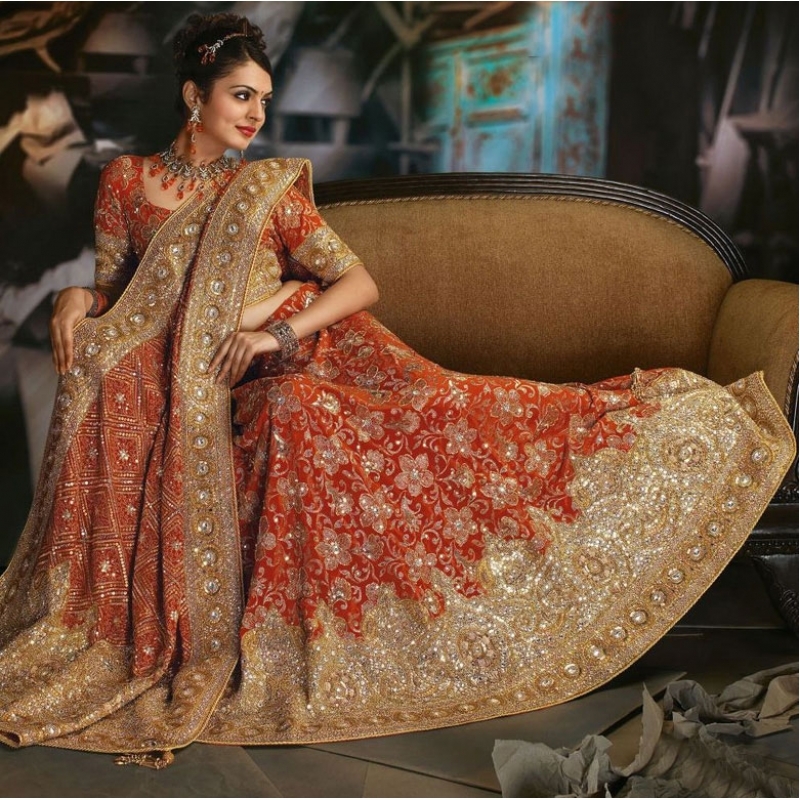 Choli in deep orange with sleeves border similar to lehenga border. Made beautiful with sequins, beads and zari enmbroidered floral design. 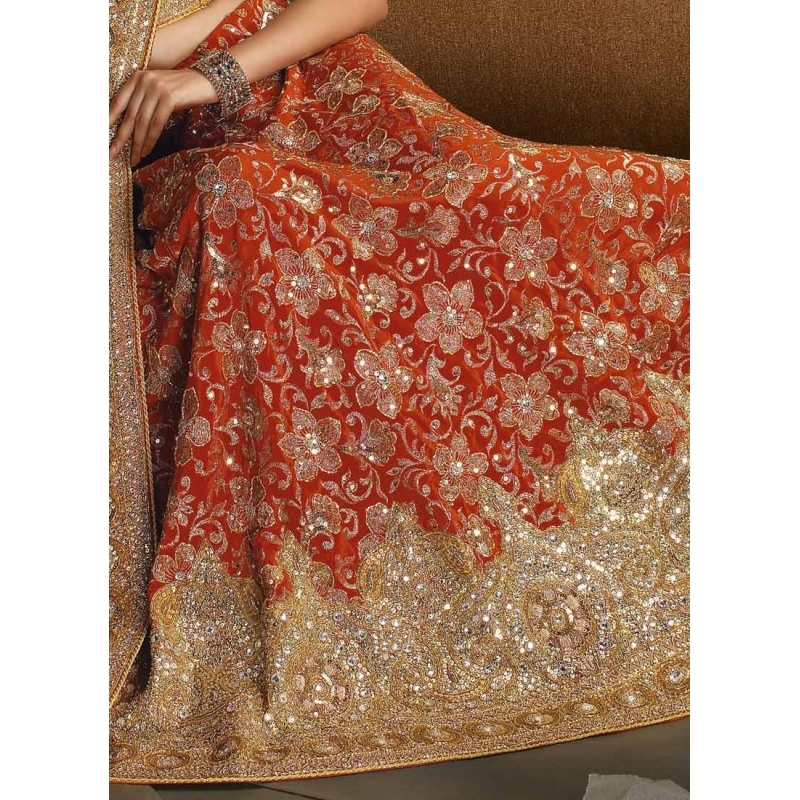 Comes with matching dupatta in orange with border featuring beige patch with sequins, stones, beads and zardosi work. Dupatta flaunts diamond shaped pattern with sequins, stones, beads and zari in floral design. Lehenga and choli in raw silk and dupatta in pure georgette.